A reportage on the autumn 2013 UK Probe International Conference in Lytham St Annes, Lancashire. 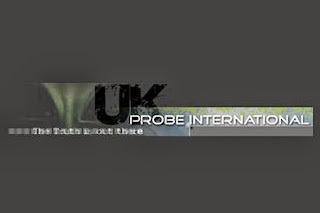 This one of the most popular and long-running UFO/paranormal/conspiracy conferences in Europe and I've been many times before, EG, see: http://hpanwo-tv.blogspot.co.uk/2011/10/uk-probe-conference-2011.html. I've not been there for two years and I've missed it. It was great to return.